The Massachusetts Department of Education links to this page as a valuable resource for learning SketchUp. If you’re a teacher and looking for ways to integrate 3D modeling into your Science, Technology, Engineering, Art or Math program, visit our “SketchUp for Stem” page for more resources. Exploded views are a great way to visualize how complex parts fit neatly together, and if you know how to use the Move tool in SketchUp, you can generate an exploded view in just a few minutes. This video (from the “New Woodworker’s Guide to SketchUp”) shows how fast, easy and painless the process is. 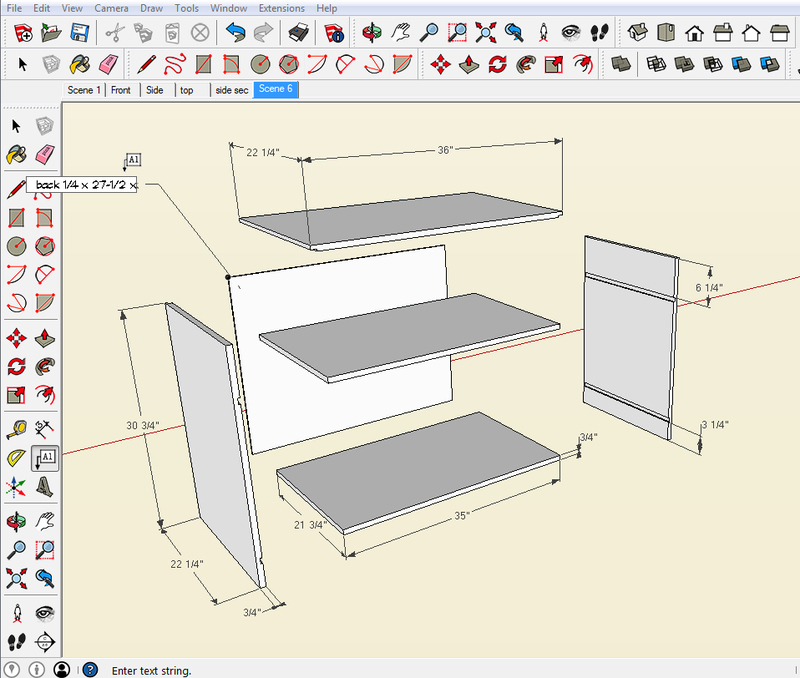 The “New Woodworker’s Guide to SketchUp” is a comprehensive manual for designing, planning and problem solving woodworking projects, from simple boxes to cabinet and furniture. It includes videos embedded within the illustrated text and it’s a great way to learn how to model your next project. More information, including a video tour is available at this link.